Working to further the understanding of how the brain processes information, Valentin Dragoi, Ph.D., of The University of Texas Health Science Center at Houston (UTHealth) has been awarded a three-year, $1.6 million award from the National Institutes of Health's Brain Research through Advancing Innovative Neurotechnologies® (BRAIN) Initiative. It is Dragoi's third award from the highly competitive federal initiative that was launched in 2013 by former President Barack Obama to accelerate the development of innovative technologies to treat, cure and even prevent brain disorders. Up to 1 billion people, nearly 1 in 6 of the world's population, suffer from neurological disorders, including Alzheimer's disease, Parkinson's disease, stroke, multiple sclerosis, epilepsy, migraine, brain injuries and neuroinfections. An estimated 6.8 million die of the maladies each year, reported the United Nations. Dragoi's research for the BRAIN project is focused on the parts of the brain responsible for vision (visual cortex) and executive control (prefrontal cortex) and their involvement in social interactions. In particular, Dragoi hopes his research team's findings could help address the social awkwardness experienced by many people with autism. "Social interactions are believed to represent one of the primary forces driving the evolution of intelligence, and are critical to the health and survival of species," said Dragoi, a professor of neurobiology and anatomy with McGovern Medical School at UTHealth. "However, despite the clear importance of social cognition and learning of advanced social concepts, the underlying neural mechanisms are not understood." Dragoi's team, which includes Anthony Wright, Ph.D., a professor of neurobiology and anatomy at McGovern Medical School, and Behnaam Aazhang, Ph.D., a professor of electrical and computer engineering at Rice University, plans to monitor the brain activity in four different cortical areas while animals are engaged in social activities. They believe the findings may have mechanistic implications for social interactions in humans. 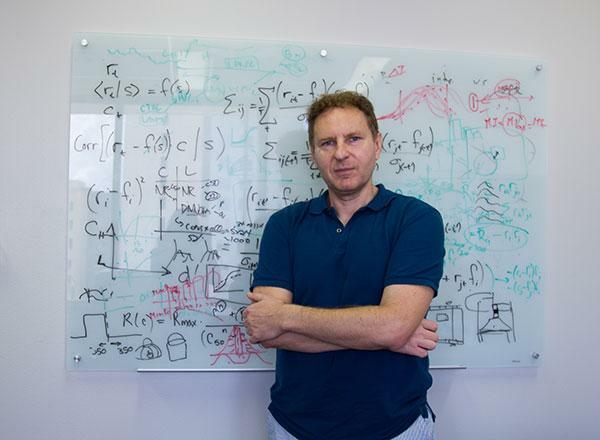 "Our research has the potential to provide a groundbreaking framework for understanding complex network computations in normal and dysfunctional brain states, including autism, and hence provide alternative solutions to improve mental health," said Dragoi, the holder of the Rochelle and Max Levit Distinguished Professorship in the Neurosciences at McGovern Medical School. Dragoi and Wright are on the faculty of The University of Texas MD Anderson Cancer Center UTHealth Graduate School of Biomedical Sciences.